CK Power is a trusted supplier of Tier 3 and final Tier 4 generator sets for a wide range of markets. Our CK Gas division also offers natural gas generator sets for prime power. No matter the application, fuel type or power rating, CK Power has the right generator for you. We’re also leaders in generator maintenance and devising the planned maintenance schedule to ensure your equipment is ready at the moment it’s called into service, no matter how unexpected. Let us be your guide to navigating the transition for mobile power generators and other sources of prime power to final Tier 4 emission standards. 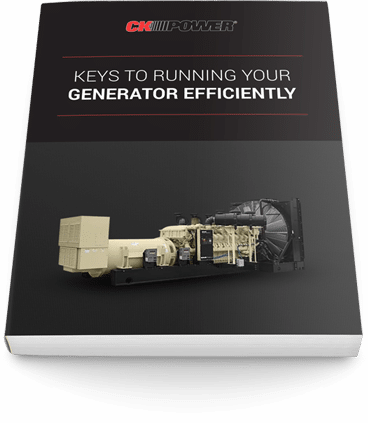 We have the know-how to make sure you’re in compliance, whatever the affected generator application may be. 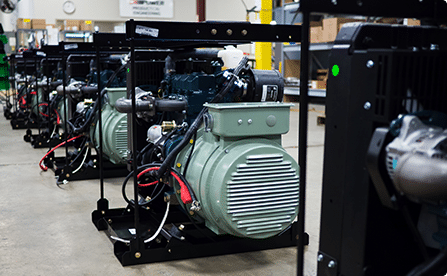 CK Power offers a line of EPA-compliant final Tier 4 sets with mobile and stations options, containerized and generator standard generator sets for prime power and standby applications. Solutions for prime power and standby applications to keep the lights on, wherever the job takes you. CK Power’s mobile power generators are offered in a number of transport solutions including trailer mounted and portable models. Marine power generation options for both pleasure and working craft from trusted brands like John Deere. Achieve peace-of-mind on the water with some of the most reliable marine power generation equipment on the water. For the oil and gas and other industries looking to take advantage of natural gas prices, CK Power offers natural gas power generation solutions in a wide range of power levels and in both mobile and stationary models. Compact and light, portable power generators from CK Power are designed to be easy to use and ready to follow wherever you go. Available for a wide range of applications, the experts at CK Power will help find you the portable generator that best suits your needs. For serious power generation needs, containerized generators from CK Power and Volvo Penta are up to the task. These towable generator options are capable of far more than simply keeping the lights on at your job site. They’re ready to handle all of your power generation needs. In some cases, repowering existing power generators can be a cost-effective strategy for remaining compliant with EPA emission standards before upgrading to final Tier 4 equipment. CK Power offers numerous Tier 3 options for companies pursuing this strategy.